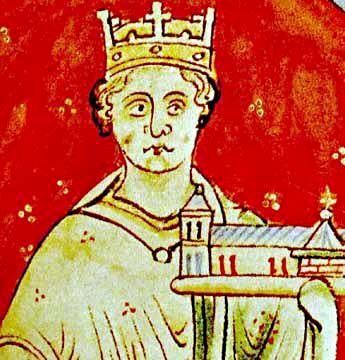 John was King of England from 1199 until his death in 1216. He was the youngest of five sons of Henry II and Duchess Eleanor of Aquitaine, was at first not expected to inherit significant lands. He was proclaimed king of England in 1199 after the death of his elder brother, Richard I. Contemporary chroniclers were mostly critical of John's performance as king, and his reign has since been the subject of significant debate and periodic revision by historians from the 16th century onwards. Historian Jim Bradbury has summarised the current historical opinion of John's positive qualities, observing that John is today usually considered a "hard-working administrator, an able man, an able general". Nonetheless, modern historians agree that he also had many faults as king, including what historian Ralph Turner describes as "distasteful, even dangerous personality traits", such as pettiness, spitefulness, and cruelty. Late in his reign he was faced a rebellion by many of his barons, who were unhappy with his fiscal policies and his treatment of many of England's most powerful nobles. Although both John and the barons agreed to the Magna Carta peace treaty in 1215, neither side complied with its conditions. Civil war broke out shortly afterwards, and John died of dysentery contracted whilst on campaign in eastern England during late 1216. He was succeeded by his son, Henry III.